Ready for larger batches, but not ready for the complicated pumps and tubing involved with other chilling methods?The XL Immersion Chiller is the solution. 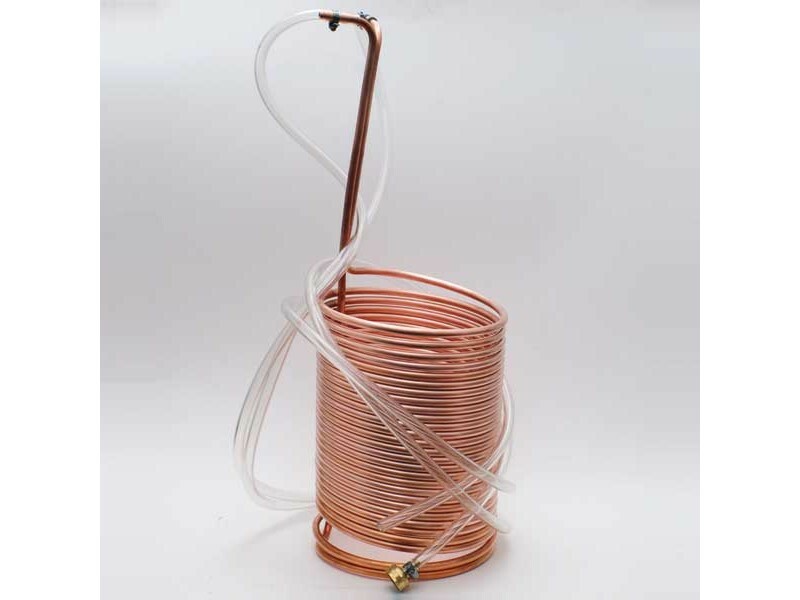 Easy to set up, clean, and sanitize.Sized for cooling 10-20 gallons of wort, this chiller is made from 70 feet of 3/8" copper tubing with garden hose connections. Perfect for outdoor brewers.